Bruising is one of the main risks of BOTOX Cosmetic and filler treatments, and even though most bruises can be easily covered with makeup, it’s always best to avoid a bruise whenever possible. Continue Reading to learn the Top 5 Ways you can avoid a bruise! Aspirin, NSAIDS (Motrin, Ibuprofen, Naproxen, Aleve, Advil), and NSAID-containing products (Midol, Excedrin, cold medicine) are the most potent of the “bruisers”. All of these drugs stun your platelets, which are the cells in your bloodstream that stop bleeding and bruising when your blood vessels and capillaries are damaged. If your platelets can’t do their job in sealing off the tiny capillaries that are disrupted during injectable treatments, your likelihood of getting a bruise is much higher than normal. Avoid all of these medications for at least a week prior to your procedure. Wine and alcohol also have some anti-platelet effects and increase your chances of bruising in the same way that Aspirin and NSAIDS do. Avoid wine (red and white), sherry, beer, and any other alcoholic beverages for at least 48 hours before and 48 hours after your procedure. High doses of Green Tea, Vitamin E, and herbals supplements like Ashwagandha Extract, St. John’s Wort, garlic, red yeast extract and many others, act like mild versions of prescription blood thinners and definitely increase your chances of bruising. 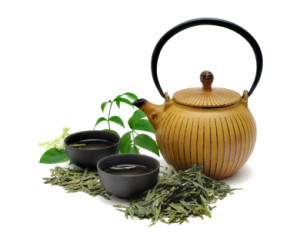 In particular, Green Tea Extract is known to be one of the most potent “bruisers” on the market, so make sure you curb it well before any injectable or surgical procedure. Because there are so many herbal supplements that have unpredictable effects on bleeding and bruising, I recommend stopping ALL supplements at least one week before your treatment. Damaged capillaries need two things to repair themselves after an injection… functional platelets and minimal blood flow. Exercise and physical activity increases your heart rate, blood pressure, and the flow of blood through arteries, veins and capillaries, including the ones that get damaged during injectable treatments. Avoid the gym for 24-48 hours after your treatment. This seems like a no-brainer, but be careful. There are no enforceable regulations on who is allowed to inject BOTOX and Fillers, so there are tons of unqualified injectors out there. Be particularly cautious about getting injected in spas, medspas, or clinics since these places have very few qualified staff, and rely heavily on counterfeit products to keep prices extraordinarily low. Not only do you need to worry about bogus products at places like this, but you also have to worry more about painful injections and bruises because they don’t have access to same top-of-the-line needles and syringes that are available to plastic surgeons and dermatologists. One more piece of advice… don’t try to Do It Yourself! That’s the surest way to get a fantastic bruise! For more information about our most popular injectable procedures like Cheekbone Augmentation and Lip Injections, please call our office at 917-703-7069, or send us a message by clicking here. We offer the most innovative techniques and the quickest recovery times in the safest environment possible. Dr. Nicholas Vendemia performs injectable procedures for women and men in the New York metro area. He is a leading injectable specialist in New York City with a reputation for custom care and beautiful results. If you haven’t already done so, check out the amazing results in our photo gallery. We’re looking forward to meeting you!